All Australian passports carry an expiry date, but can you actually use your passport right up until it expires, even when that date is less than six months away? As it turns out, that depends on where you’re planning to travel. Each country sets its own requirements as to how long your passport should remain valid, and some won’t even let you board your flight if there’s less than six months to go, despite your passport being perfectly valid. 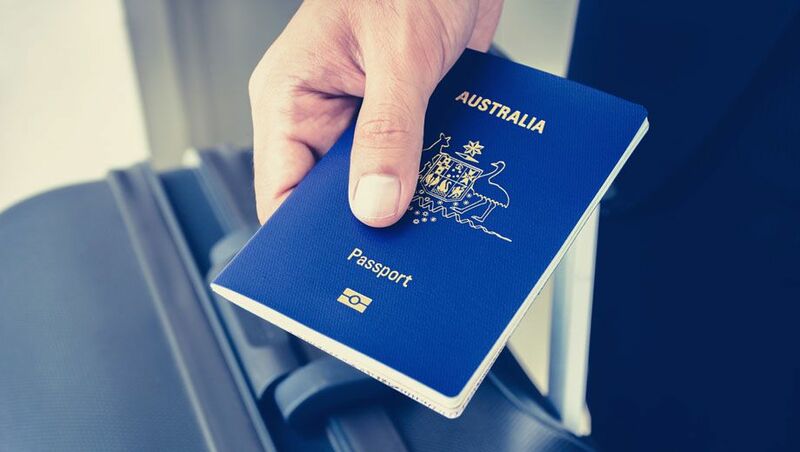 Australia, for example, allows its citizens to use Australian passports for all travel to and from Australia right up until the passport’s expiry date, the Department of Foreign Affairs and Trade confirms. But many other countries aren’t that generous, which can render your 10-year passport useful for 9.5 years at most! Here’s what you need to know to keep your busy business travels running smoothly, and to avoid getting stuck at the border (or airport check-in). Why do some countries have a ‘six-month validity’ passport rule? While the reasoning varies between countries, having a valid passport not only allows you to leave the country you’re visiting but also enables you to return home or continue your travels, without getting ‘stuck’ anywhere without a valid travel document. In case of any medical emergencies, not having to unexpectedly renew a passport overseas represents one less hassle to deal with, either when your travel dates need to be extended for urgent hospital care, or if there’s a sudden need to evacuate you to another country for treatment, which may have its own passport validity requirements. Having a passport that’s valid beyond the dates you originally planned to visit also makes things easier for immigration officers if you overstay your welcome, as you can be immediately deported from that country on your valid passport, rather than having to stay for several days more while you apply for a new one. However, there’s no denying that the ‘six-month rule’ can be bothersome for business travellers planning a routine trip, from which they’d be back at home many weeks or months before their passport expires! 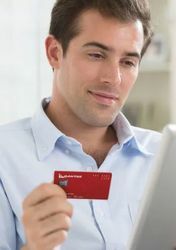 Is my passport valid for my next business trip? New Zealand: Australian business travellers can enter and depart New Zealand right up until their passport expiry date, subject to the passport requirements of any onward country that’s being visited on the same trip (which could make an earlier replacement necessary). Singapore: Australian passports must remain valid for six months beyond the dates of your intended stay, even when you’re just transiting – such as on QF1 from Sydney to London via Singapore, where you don’t even clear Singapore passport control. Hong Kong: Passports must be valid for at least one month beyond the dates of the intended stay. China: In order to apply for a Chinese visa, Australian passports must have at least six months validity remaining. United Arab Emirates (Abu Dhabi, Dubai): Passports must be valid for at least six months from the date of entry into the UAE, or for three months from the date of travel for those merely transiting the country without crossing the border. Qatar (Doha): To enter Qatar using the visa-on-arrival process, an Australian passport must be valid for at least six months from the date of entry. United Kingdom: Australian passports need only be valid for the duration of stay, and for your onward travel arrangements, subject to the passport rules of your next destination or transit point. European Schengen Area countries (France, Germany etc. ): Technically, your passport only needs to be valid for three months beyond your intended stay, but some countries may assume you’ll stay for up to 90 days as your entry permit may allow, so having a passport valid for six months from the date you arrive avoids any unnecessary issues at the border. United States: While the USA normally requires passports to be valid for six months beyond the traveller’s intended stay, Australian travellers are exempt from this requirement and instead only need a passport that’s valid for the for the duration of their intended stay (and to travel home). South Africa: Smartraveller advises that Australians should have at least six months of validity remaining on their passport when visiting South Africa, as opposed to other advice often found online that suggests passports are usable when expiring at least one month beyond a traveller’s planned exit date. As always, it remains the traveller’s responsibility to independently confirm that they meet a country’s entry requirements, remembering that these may change from time to time and can vary for passengers of varying nationalities, or using different types of passports or travelling on certain visas. Is that NZ criterion correct? Immigration NZ's website says: ""In the case of New Zealand and Australian passport holders or New Zealand residents/Australian permanent residents (with current travel conditions), your passport must be valid for enough time to allow you to travel to New Zealand (ie, it must be valid on the date you are entering/leaving New Zealand)." My reading of that is the passport just needs to be valid on the day you fly in, rather than for the duration of the "intended visit". Which would accord with the general position under CER that Australians are allowed to work and live in NZ (and vice versa) without any immigration restrictions. Edit: I see the confusion might arise as a result of the bit that says "must be valid on the date you are... leaving New Zealand" but my understanding is that just means you need to have a valid passport when you leave NZ - not necessarily the same physical valid passport you used to enter. Hi Yarki, the focus of this article is for Australian-based travellers taking a business trip, who’ll want to both enter and depart a country on that trip within a reasonable time frame, without trying to replace their passport in the middle of that journey. Requirements for Australians living and working abroad will naturally differ, but aren’t being covered here. Australian passport holders can enter, live and work freely in NZ so their passport only needs to be valid to enter. They can enter up until midnight on the day of expiry for example. Then obviously have a valid passport to leave. Worth noting that you need to be careful if leaving to NZ on the day your passport expires. I have seen a few times people who catch the 6pm flights from Australia that arrive New Zealand around midnight be caught out by the date change. Whilst technically many of these arrive at 11:59pm (or just before midnight), by the time you reach the passport queue it might be after midnight and technically your passport has expired. In all those cases they were let through after a supervisor came and gave the ok, it still causes a bit of unnecessary stress that could have been avoided by getting a new passport. Yes, I was able to. Europe and Singapore with two months left expiry. Travelling to the US is accepted with less than 6 months validility altough upon return to Sydney only 1 day before expiry, smartgates wouldn’t process it & then at the desk, the Customs Agent noticed the expiry altough was fine to proceed. What annoys me most about expiring passports is when you go to renew they cancel the right away. I got caught out doing that with a passport with 7 months to expiry and a trip planned. No sooner had I visited the post office (4pm) my wife received a call to say her father who lived overseas had suddenly passed away. Why they have to cancel the moment you submit the paperwork is beyond me. Also some counties when you renew will add any time left on your current passport to the new one which makes sense and is fair. As stated for the most part we have 9.5 year passports! Given what others who travel tell me on occasion is the ignorance of airline check in staff who mistakenly believe that every traveller to every country must have a passport valid for at least six months, it's not advisable to travel with a passport that expires prior to then. There is no room for flexibility. I once had an employer going to Bali for a holiday with family on SQ: he omitted to check validity, and was short by two days, detected at check in. Off to the Passport Office, and boarding a flight in 12 hours was his fate. Thankfully, the public servants were efficient but an express processing fee was naturally required. With call centres and business process outsourcing a major focus of business, it would have been good to list India and Philippines as each has a large (and growing) number of Australian business travellers. AI has increased its SYD - DEL flight frequencies recently, and QF/PR/5J have all increased (by large percentages) their Oz - MNL flight frequencies in the past year. It's not just leisure travellers to these two nations that are behind the increased demand. Comment on "Can you travel on a passport within six months of its expiry date?"